If there is a French connection in contemporary jazz, it might arguably be the violin. Though the instruments role was explored by American pioneering ensembles, the French players added an innovative approach to improvisation, incorporating more of the European influence. 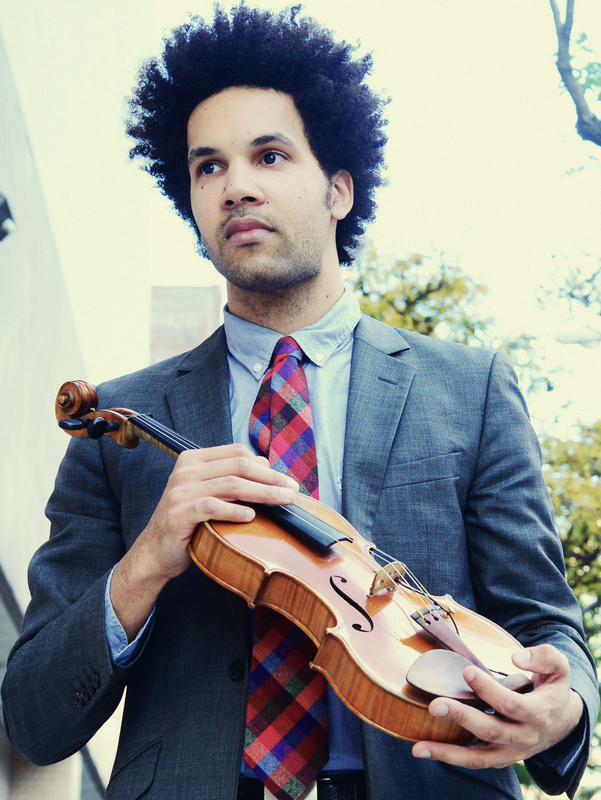 Heralded as a violin trendsetter for the current generation, French wunderkind Scott Tixier returns four years after his debut “Brooklyn Bazaar” (Sunnyside 2012), with Cosmic Adventure, a celebration into the mystical nature of life. Acknowledged as a prodigious musician with impeccable credentials, Tixier is intrinsically tuned into the high energy which permeates his adopted home of New York City. It is this melting pot inspiration introduced on the exploratory “Maze Walker,” that makes for a compelling experience. Harmonica virtuoso Yvonnick Prene is a featured member of this band, and his interplay with Tixier throughout the session is exemplary, as are the Caribbean rhythms of Pedrito Martinez on congas. Martinez returns on “Dig It,” a tribute to Stevie Wonder, with whom Tixier has recently toured. Pursuit of perfection takes “100,000 Hours,” a futuristic fusion odyssey with traces of the celebrated Jean-Luc Ponty, (who wrote the liner notes) all the while remaining centered on the deft bass work of Luques Curtis, and pianistic zeal of Glen Zaleski. Another countryman and major influence, Stephane Grappelli, comes to light on the jazz manouche, “Troublant Bolero,” penned by Django Reinhardt during the legendary days of Quintette du Hot Club de France. The gypsy guidance continues on Erroll Garner‘s “Misty,” reworked as a melancholy ballad. Tixier displays his relentless sense of swing on “Nil’s Landing,” performed at a blistering bebop pace, courtesy of drummer Justin Brown. As the songs are intended to follow a personal trajectory, “King Of Sorrow,” is dedicated to his grandmother, and lessons learned from pain and grief. Tenor saxophonist Chris Potter is highlighted on “Beam Me To Mars,” a straight ahead number which pretty much describes Tixier’s cosmic adventure. According to Scott Tixier’s schedule and resume, over the past few years he has been on a grueling pace as a sought after accompanist and solo artist, both in performances and in studios. Proclaimed as “Rising Star Violin,” and “Best New Artist,” by the premier jazz magazines, it is a wonder he found time to make this record. Then again, it is the accumulation of all the above that makes for adventuresome listening to the French violinist that is taking the jazz world by storm. Track Listing: Maze Walker; Dig It; 100,000 Hours; Troublant Bolero; Mr. Tix; Misty; Nil’s Landing; King Of Sorrow; Beam Me To Mars. Personnel: Scott Tixier: violin; Yvonnick Prene: harmonica; Glenn Zeleski: piano; Luques Curtis: bass; Justin brown: drums; Pedrito Martinez: congas (1, 2); Chris Potter: saxophone (9). ← Sivan Arbel Reviewed on Jazz Weekly!